Damaged cuticles? Dandruff? Olive oil is the one-stop solution for your hair and beauty woes. Olive oil is an important ingredient for the skin and hair. It’s a mixture of mixture of monounsaturated, polyunsaturated, and saturated fatty acids. 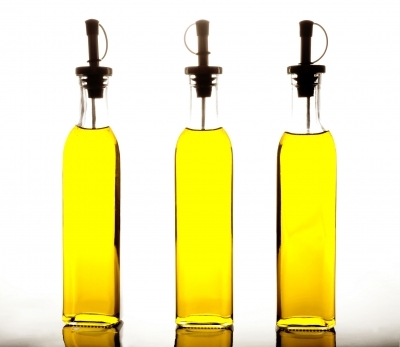 The major compound of olive oil that makes it such a nutritious oil is oleic acid. Oleic acid is a monounsaturated fat which provides many health benefits. Olive oil is also rich in anti-oxidant flavonoids and Vitamin E. Strong anti-oxidant and anti-inflammatory properties are responsible for making olive oil a wonderful oil for the skin and hair. Read on to know more Olive oil benefits for skin and hair. We all know olive oil in pastas and salads not only adds on the taste but also promotes good health. But is it equally beneficial when applied on the skin and hair? According to the experts- yes, it is. The oil is light and nourishes your skin. It is said to undo the damage done to your skin caused by alkaline soaps, chlorinated water and even chemical pollutants. It contains antioxidants which protect your skin from degeneration caused by exposure to the sun. Try out for yourself and see it works. Massage olive oil on hardened skin areas like the cuticles (skin around the nails) and the skin of elbows and knees. But for it to work, the oil has to be pure; that means it should be labeled ‘extra virgin. Just rub a bit of it on dry skin or chapped lips and see the immediate results. Olive oil is a unique plant oil in terms of its fat composition, containing about three-fourths of its fat in the form of oleic acid (a monounsaturated, omega-9 fat). It also provides valuable amounts of the antioxidants beta-carotene and vitamin E, as well as squalene, a much less common antioxidant that also plays a special role in skin health. Extra virgin olive oil is a strong source of antioxidant and anti-inflammatory phytonutrients. The oil also nourishes your hair. It is especially useful for oily hair with dandruff. Follow a weekly ritual of applying olive oil in the hair for 30 minutes and wrapping it with a warm towel before shampoo. Your split ends will be repaired and your hair will look shinier than ever before. Since it is light, olive oil is great for treating extremely dry, damaged and fizzy hair. Just put a drop of olive oil on your palm, rub your palms together and then smooth the palms over your mane to get rid of fizzy ends. It’s really that simple and useful. Olive oil is the part of many beauty products. It is a great natural ingredient for improving skin and hair. So, remember those benefits of olive oil for skin & hair. Olive oil helps more than any other natural product. It has more powerful natural elements which gets us ultimately perfect skin. Use olive oil every day. Your skin cells bouncing out of joy in the goodness of olive.